For the original 2004 game, see Star Wars: Battlefront. US has a download code, Europe has DVDs for install. Contains all Upgrade Packs. Included with Origin Access Basic. Use borderless mode to fix crosshair position. Up to 110° (vertical). See Field of view (FOV). Low to High FXAA, TAA and resolution scale for SSAA. SWBF Cinematic Tools can also be used to override FOV. Higher FOV values slow mouse movement. 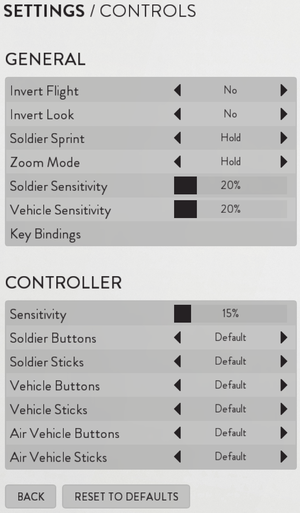 In addition, each vehicle has its own custom FOV modifier, which is a multiplier based on what you set. Due to this some vehicles, most notably the speeder bike are essentially unplayable at high (100-110) FOV values. It's recommended to lower the FOV while playing levels featuring those vehicles. 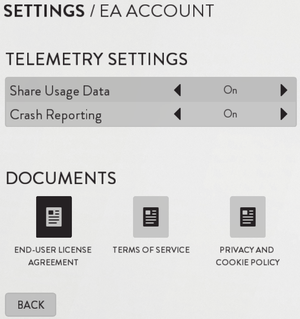 Luckily it can be changed on the fly without a map restart. Uses raw input, so you get pure unfiltered mouse movement ignoring any windows settings for acceleration as well. Co-op limited to 2 players. Supported. No player run servers, EA's network only. No Server Browser. See Helix Mod: Star Wars: Battlefront(2015). The game seems to be very specific about sound requirements. Go to Control Panel > Hardware and Sound > Manage Audio Devices. Select your speakers from the Playback tab and click Properties. 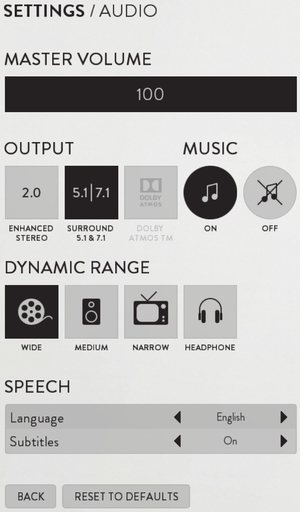 Under Advanced, set your sound quality to at least 16 bit, Studio Quality. Open ProfileOptions_profile file in text editor. Set it to higher value such as 2.000000 or 3.000000 (which are 200% and 300% of in-game volume respectively). 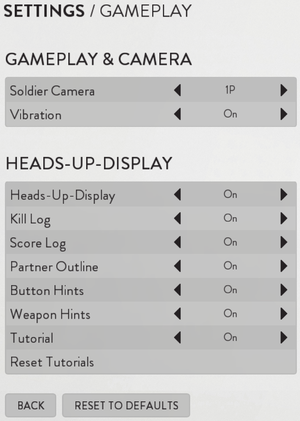 You can have these commands run automatically, whenever you start the game, by entering them in user.cfg in <path-to-game> (the file won't exist by default, you can create it through Notepad and save as a .cfg file). ↑ "The PC version of this Software uses Origin Online Activation and Sony DADC Austria AG’s Denuvo content protection technology". 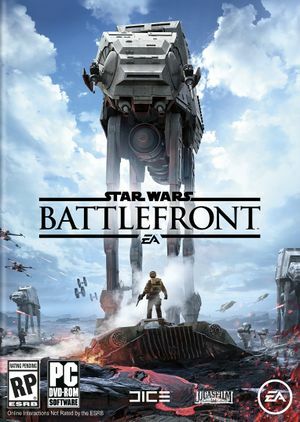 Star Wars Battlefront EULA. This page was last edited on 5 April 2019, at 06:44.